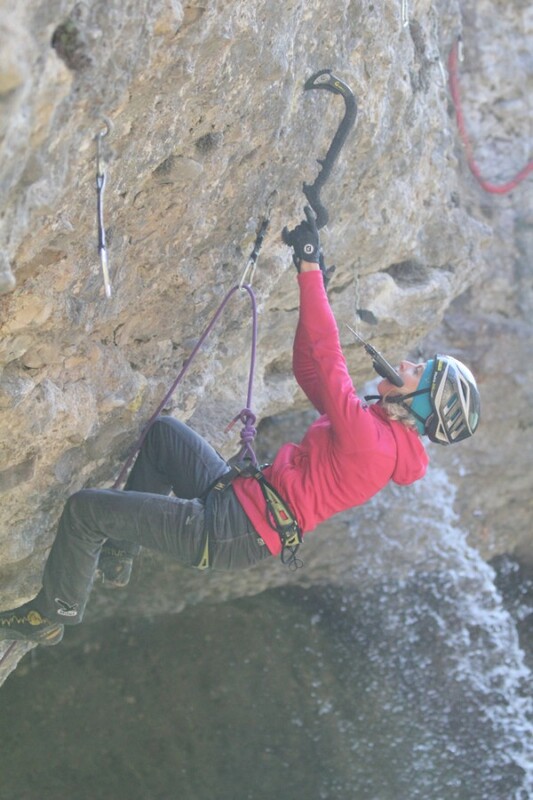 Three days – two Dry Tooling routes. One in the Dolomites, in the “Grotta dei sogni” in the Cadore area, one in the sportscliming area “Maddalena” above Brescia. One on conglomerate stone, one on limestone. Both start in the center of a big cave and travers the whole roof with powerful, long moves. I’m really proud and happy to have done the first ascent of “Il volo dell’angelo” – the flight of the angel, which name according to Gianmario Meneghin, the master of the cave and my friend, has been inspired by the name of one of his friends, who comes to climb in his caves. 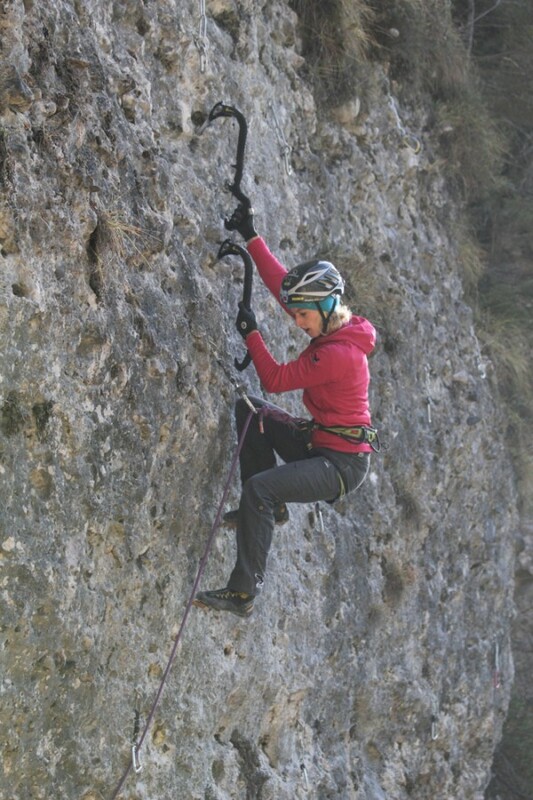 On “M come mostro” – M as monster I have done the third ascent (the second without heel spur). In my opinion they are both great lines, which request a lot of power and technique with the axes.Speaking about numbers, “M come mostro” has been gradated D13- by it’s opener Matteo Rivadossi and “Il volo dell’angelo” for me is the same grade. I will be happy to hear about the opinion of other climbers.